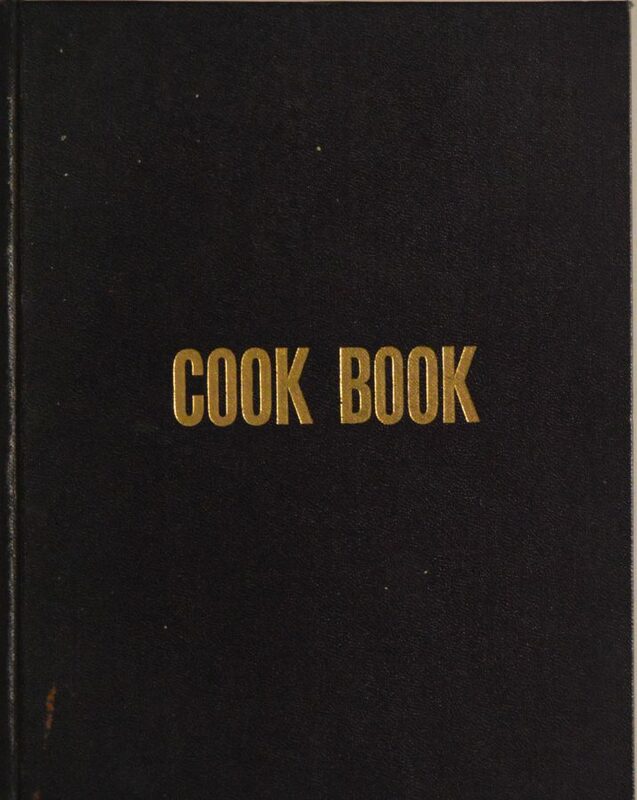 Sinclair NJ Cookbook Collection – What Exit? 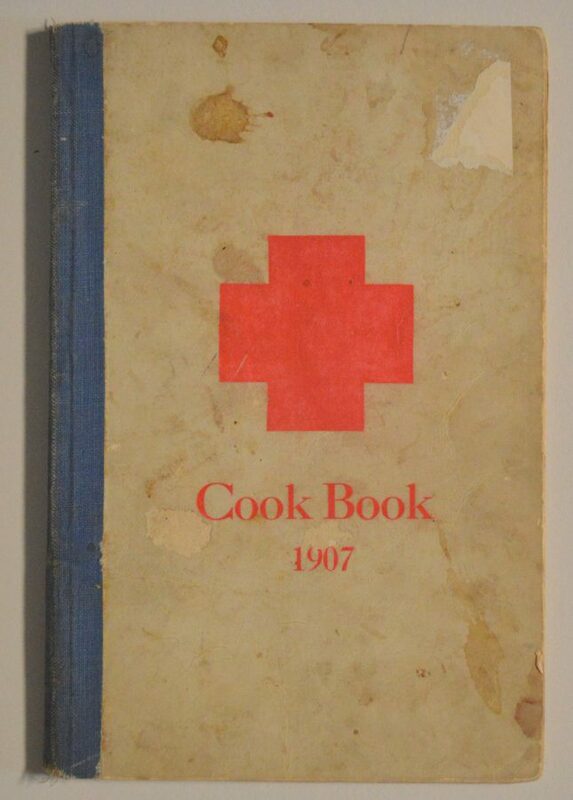 I have always enjoyed cookbooks. 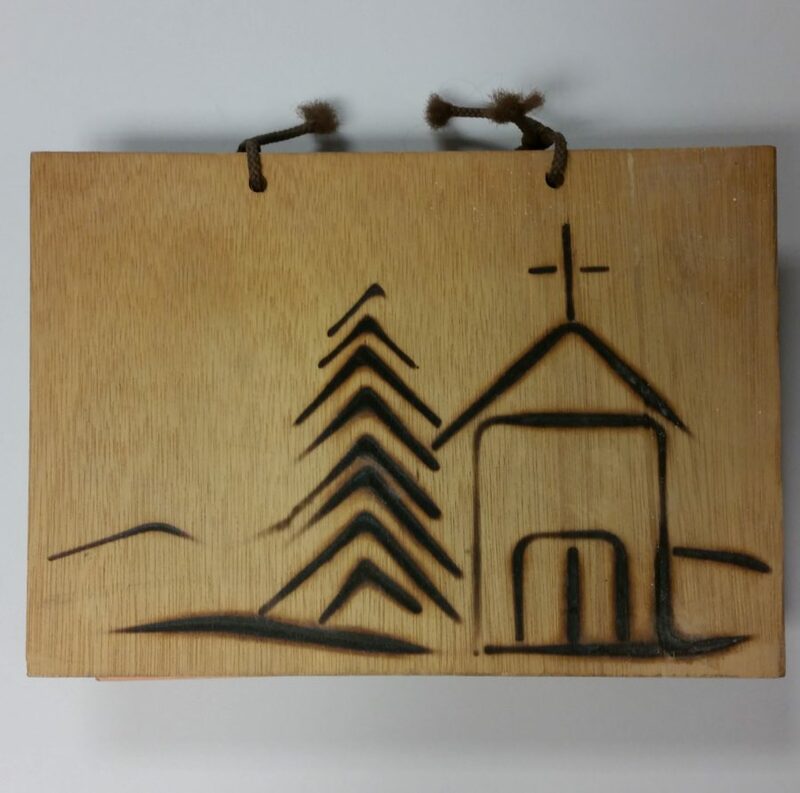 I even wrote a whole blog post about it back in November of 2015. 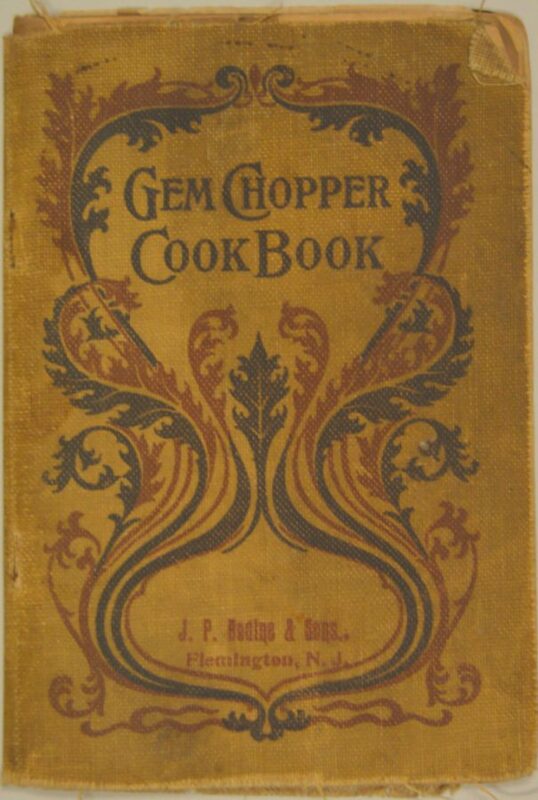 I will post pictures of cookbooks to our Instagram page on occasion. 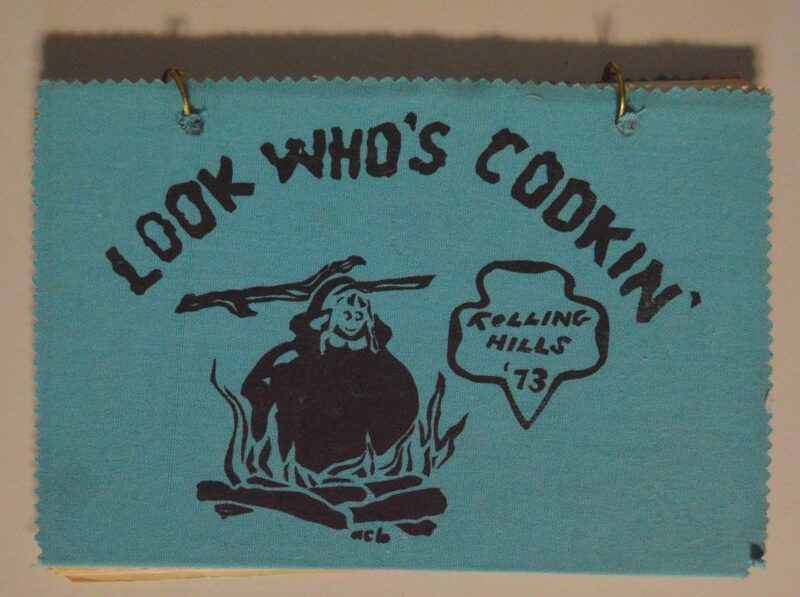 But on one Wednesday morning in April I asked a simple question to our Instagram followers, “Is #WhatsCookinWednesday a thing?” The community of libraries, archives, museums, and historical societies quickly insisted we make this a challenge. 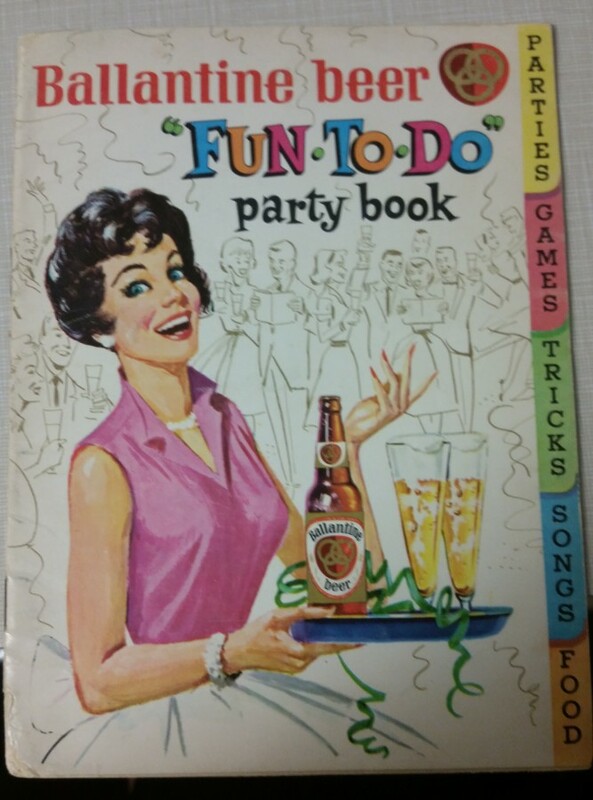 (The #LibrariesOfInstagram community likes to challenge other repositories to post pictures of different things each month.) 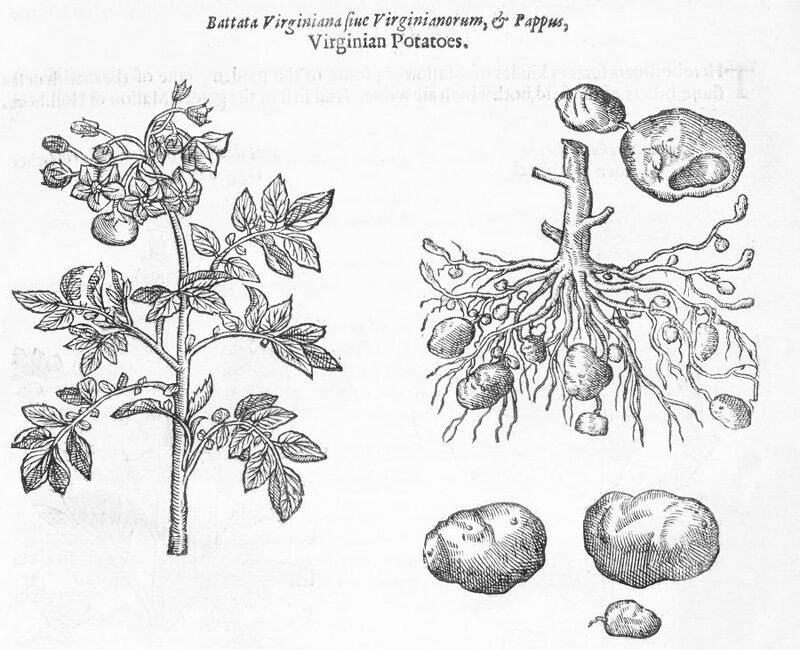 The month of May became a Library Feast (#LibraryFeast). 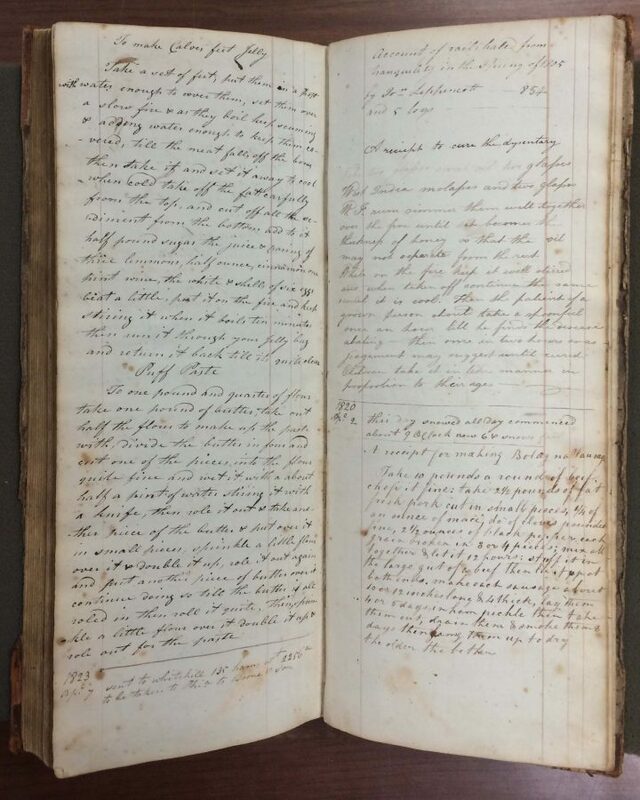 To add to the challenge, it was suggested that people try to make a recipe from a cookbook in their collection. 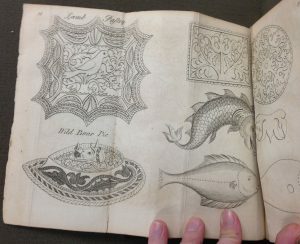 I wandered the Special Collections and University Archives closed stacks to see what cookbook I could find. 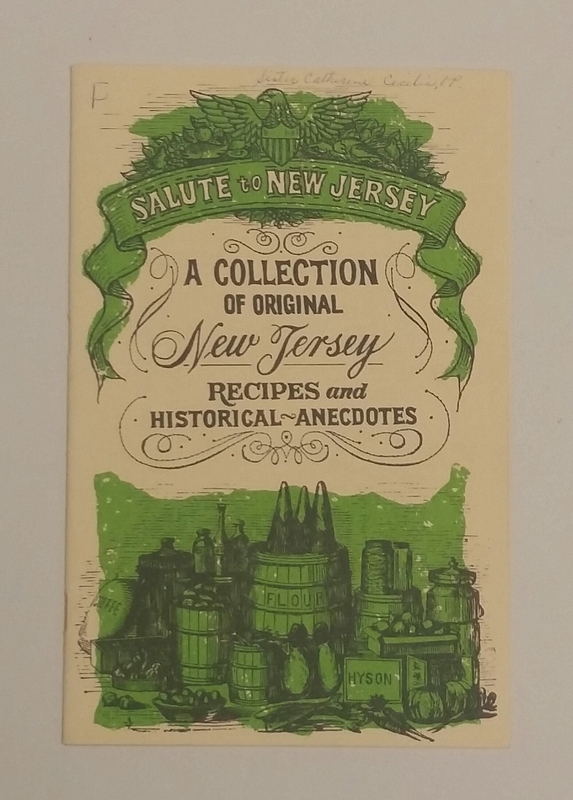 I stumbled upon Salute to New Jersey : a collection of original New Jersey recipes and historical anecdotes. 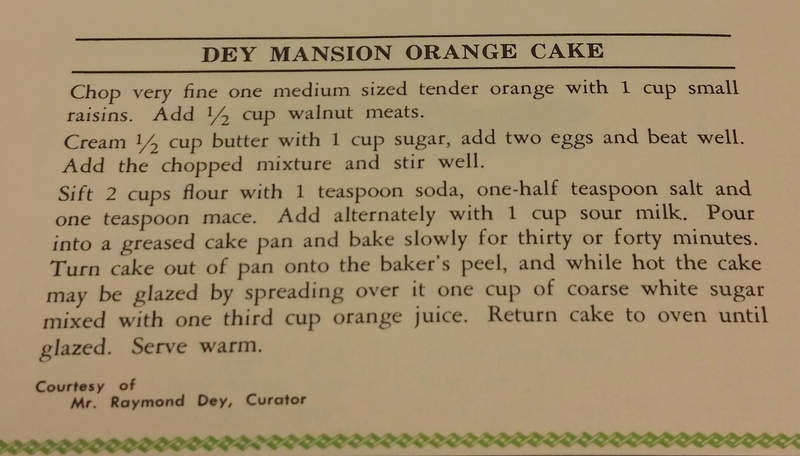 Intrigued by the title, I flipped though the pamphlet to find a recipe entitled Dey Mansion Orange Cake. 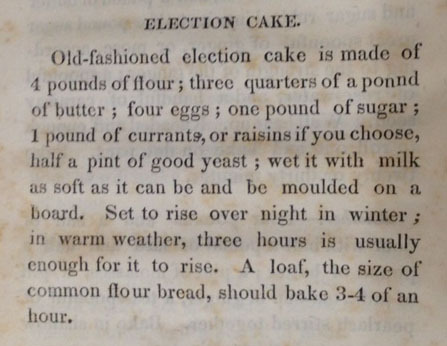 I enjoy baking and I thought that since Colonel Theunis Dey (the man whose family owned the Dey Mansion) was also a signer of the Queen’s College charter; this would be the perfect recipe to try with a nice hint of Rutgers history. 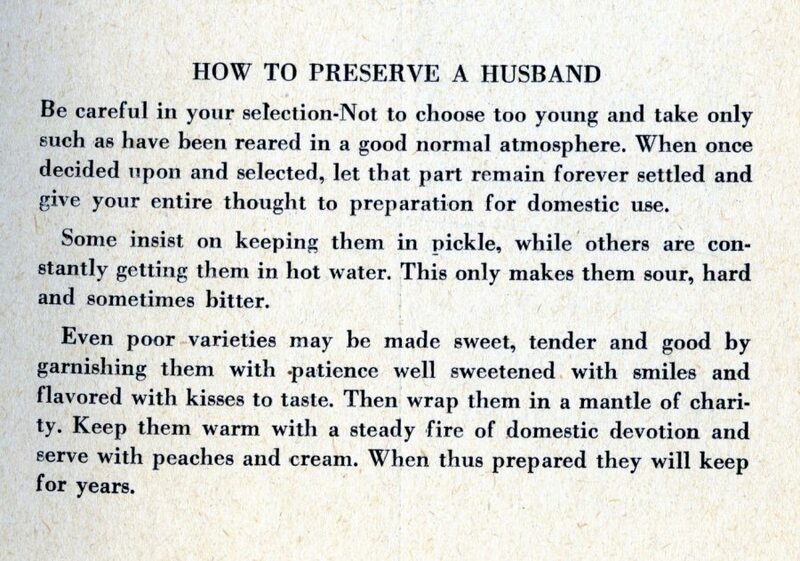 When finished, remove from pan. While hot, spread glaze on top. 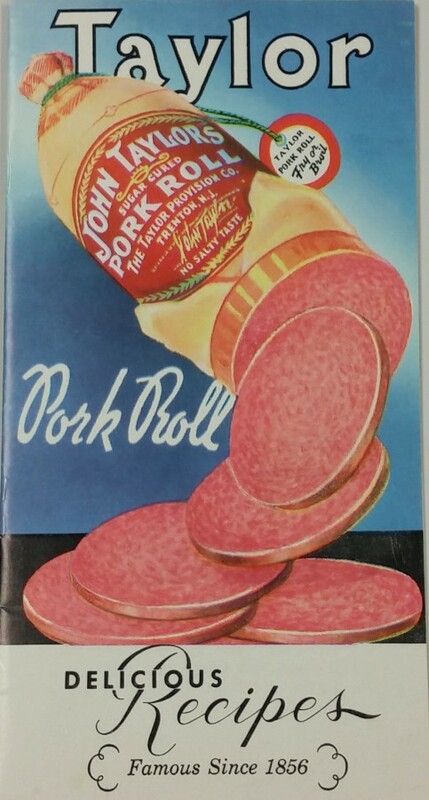 Do you call it “Taylor Ham” or “pork roll?” Either way, today would be the birthday of John Taylor, the man who created John Taylor’s Pork Roll [formerly known as Taylor Ham]. To make things easier we will be calling it “pork roll” because the Pure Food and Drug Act of 1906 forced Taylor to change the name, “Taylor Ham,” because it did not fit the new definition of ham by the Food and Drug Administration. He changed it to “Taylor’s Pork Roll,” however many people in North Jersey continued to call it by the original name, while South Jersey slowly transitioned to simply calling it pork roll, leaving those in Central Jersey using both terms. 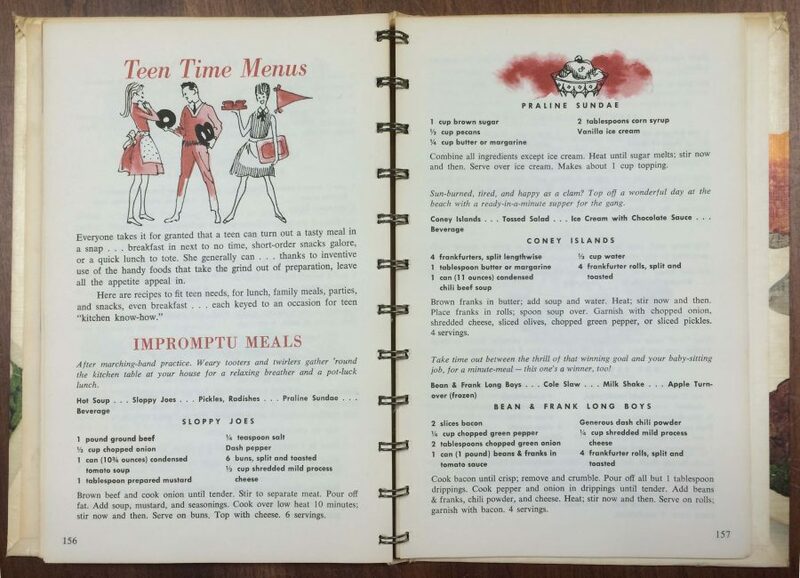 Beyond creating the NJ diner staple, John Taylor was a businessman, member of Trenton City Council, and was elected to the New Jersey State Senate for Mercer County. 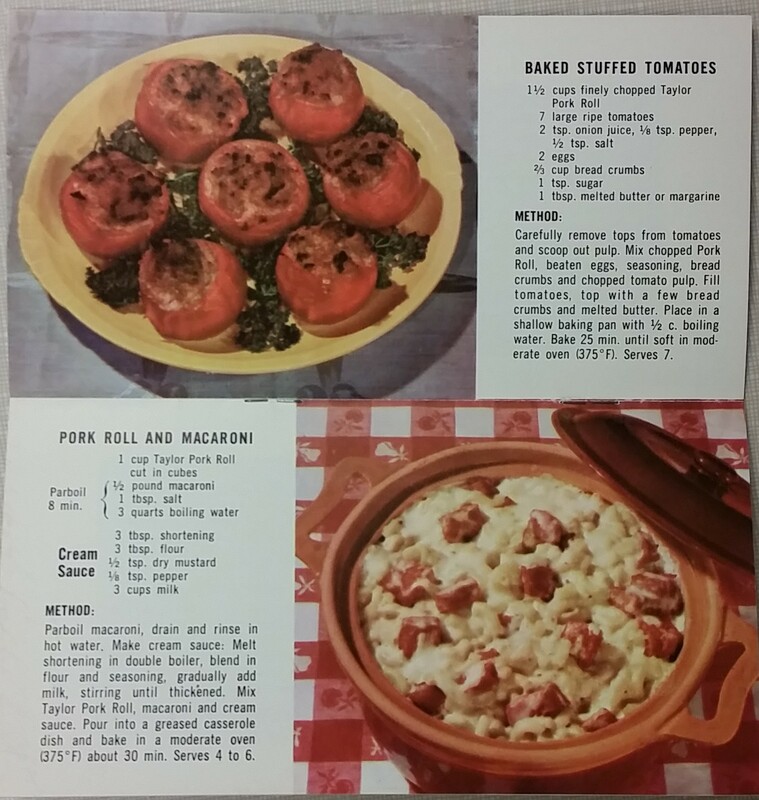 Today make sure to celebrate the day with a pork roll, egg and cheese, or maybe one of these pork roll recipes.